Quiet peaceful Resort. Twenty minutes walk to the beach, and ten minutes walk to restaurants. Very good WiFi and air-conditioning in rooms. Room could be cleaner, i.e shower curtain grubby and all woodwork could do with a thorough clean. Small and nice hotel in a great place. Great staff, good breakfast, located in a quite place. Loud AC is the only disadvantage. Turbo charged 2HP air conditioning,superb cooling in the room + quiet surroundings. The room is good and clean. 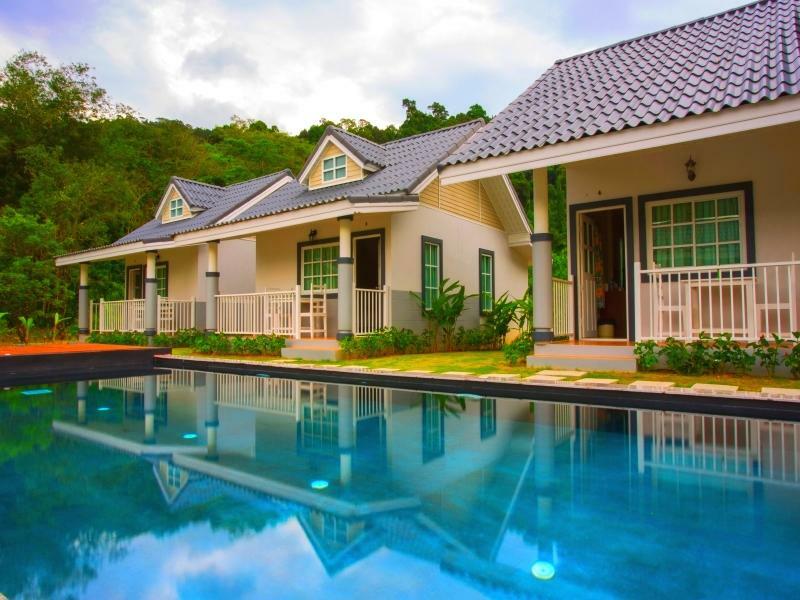 It is located 10 mins walking from central Khao Lak. Staff is very kind and help us all the time. The helpful staff. Good value for money. Private villa. We stayed in the yellow villa in February 2016 and enjoyed our holiday very much. Many thanks for the staff. 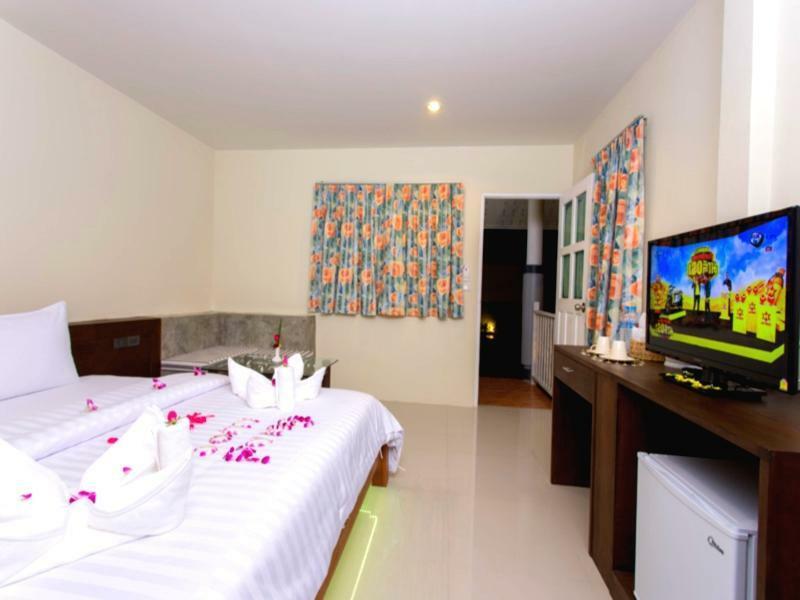 The resort is situated in a quiet location next the mountain and with walking distance of Khao Lak village and the beach. In villa's terrace was nice to and enjoy mountain-jungle view. The gardens are well kept, there's a nice pool and the villa was lovely. There are two types are villlas/cottages. The first one was beautiful and very well kept. The air con was great and we had a great view. The second was a just as nice but there was a slight smell from the plumbing. We told them and they moved us straight away. Lovely people but the manager is the only one who speaks English. I would stay there again. It's about 10min walk to the main drag. Our rooms were very nice and clean. For this price range, I have to say that it is difficult to find a room like this somewhere else. Hotel location is not far from Khao Lak downtown. Hotel is very small, has a little swimming pool in the middle so it could be a little bit noisy when people are playing in the pool. The Owner's Suksompong Hotel is very friendly with the customers to choose the room In the morning but now want customers, not to ask for it. The customer can only know or even to Check Out the employees find it. We arrived there late in the evening, the staff met us friendly and helped to carry our bags. Sok, the housekeeping staff, just in few minutes solved our problem with renting a bike. They cleaned our room once in two days, we were fully satisfied. They even caught an unexpected visitor, large frog, in our room. The one drawback was breakfast. It was rather poor, eggs or rice. Nevertheless it failed to spoil our holiday! Thank you, Suksompong! The place is nice, a bit away from main road so quite. The rooms are new so nice and clean, but A/C is really too noisy. Almost impossible to sleep with it. Staff is almost inexistent. Check-in was difficult, as no staff was there during 5-10 minutes and it looks like they were not informed of our arrival. Anyway, we were able to sleep well and relax and that was what we expected. Very small resort, outside Khao Lak, distant from the beach and the market. Lack of flower and trees. No lobby available. For the money we paid we were very happy with the room and location although there was no sign of anyone in the morning to cook breakfast before we went on our trip. i stayed first 2 nights and then I have booked another 3 nights. I felt save and confortable ther, although there are street dogs nearby. Nous avons été dessus par l'absence de présence des responsables(seul le personnel Thaï était présent); l'hôtel n'a aucune vie. La piscine est très jolie mais il n'y a rien pour s'allonger. Les serviettes ne son pas changées pour les jours. Au petit déjeuner, on nous a servi des œufs à la poêle qui sortaient du frigidaire. Par contre la chambre est très belle et propre. Conseil aux propriétaires : investissez- vous en temps.